This entry was posted on April 7, 2019 at 6:43 pm and is filed under News. You can follow any responses to this entry through the RSS 2.0 feed. You can leave a response, or trackback from your own site. You tires last a really long time because you don’t weigh very much! But even at 200+ I almost never get a flat–maybe every 10,000 miles. 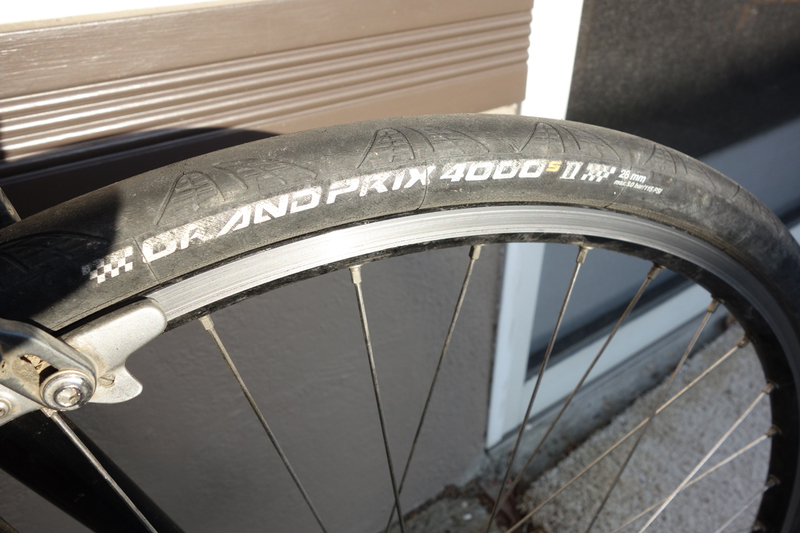 I remember how revolutionary the high pressure clinchers in the early ’80s were—but I remember flats were a pretty frequent occurrence then–maybe every 500 miles for me. BTW, how many miles do you estimate you have on that Ritchey frame of yours? Conti recently released their 5000 series tires. Hard to believe they could improve on such a good tire, but that appears to be the case. Jay, Ritchey has 45K miles since 2010. My Saso, built in 1987, has 150K or so.